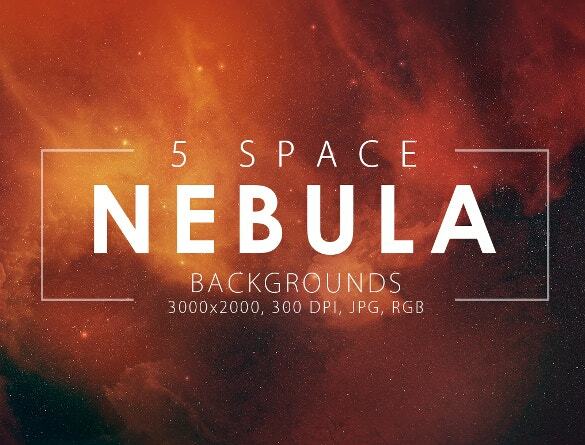 Are you bored of plain YouTube backgrounds and looking for some cool effects? 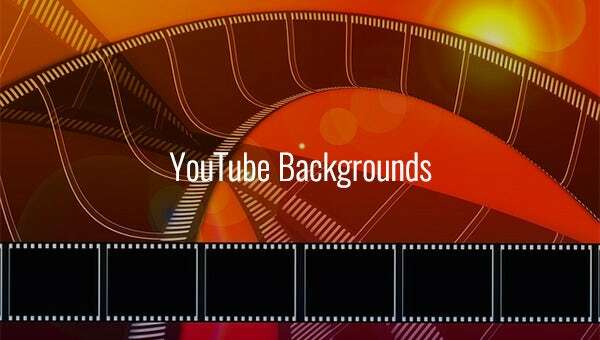 Well, the good news is that we have come up with a wide range of cool backgrounds HD for YouTube so that you can bring in a more personalized and artsy effect on the portal. 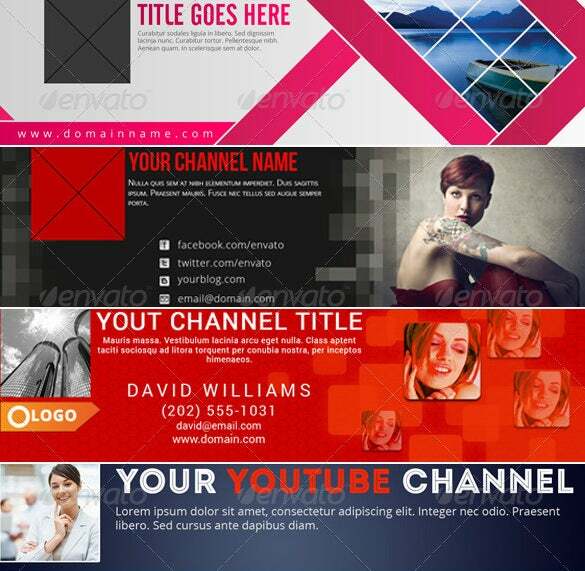 These backgrounds from our list below can be downloaded for free.You can also see Youtube Banner Templates Our cool list of YouTube Templates is sure to amaze you with its diverse themes & Cool Backgrounds. 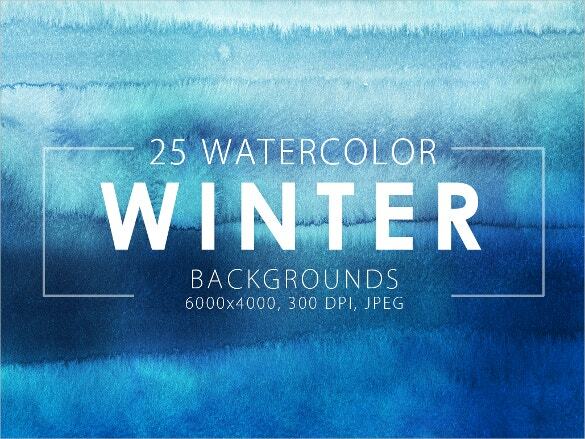 There are abstract arts to choose from while you will also find beautiful scenic illustrations. We have covered every theme possible to satisfy diverse range of interests. 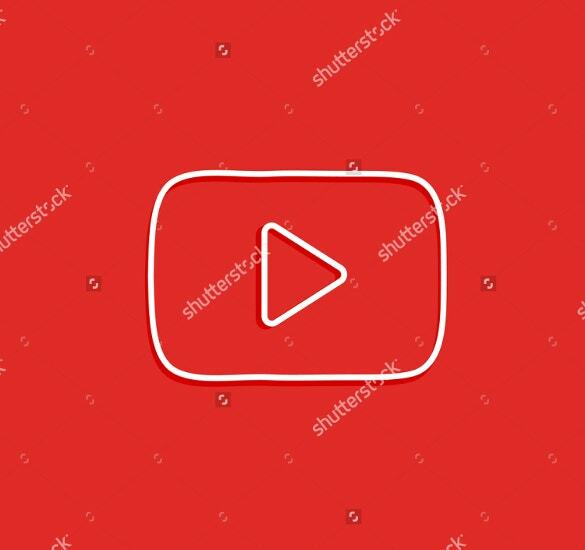 If you are planning to create a great YouTube channel that will attract many followers, this collection of backgrounds is suited for you. Download it in the available PDF template. 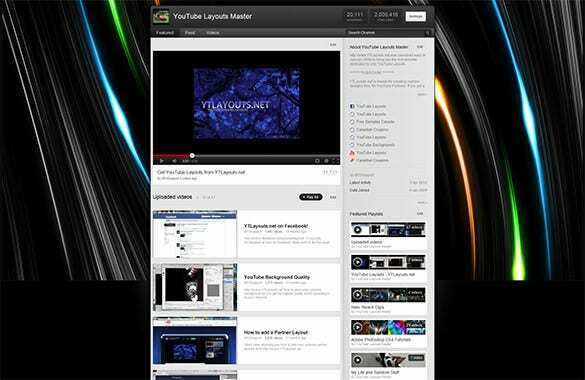 This space YouTube background template is designed professionally to make your channel look amazing. 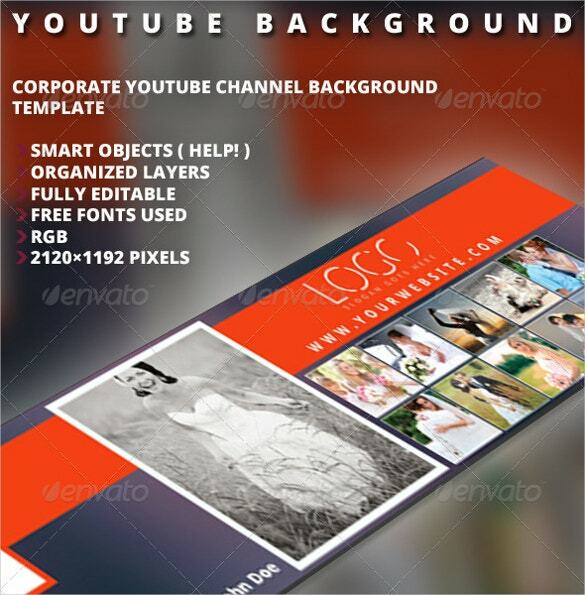 It can be downloaded from this site in Word format and used easily to create your channel. 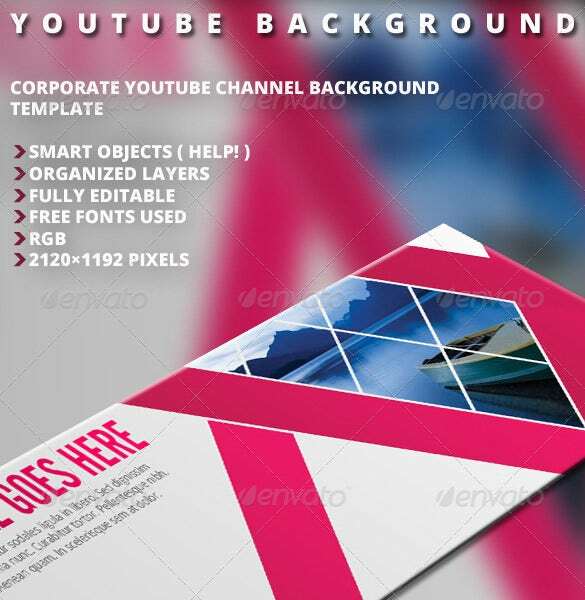 In order to come up with an attractive YouTube channel that looks professional and attractive, this free background design is what you need. Download it here in PDF file format. 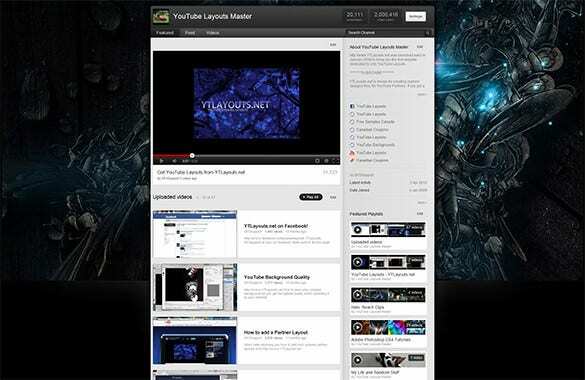 It is now easy to make your YouTube background more interesting with our free backgrounds. They are easy to download and use and are available here in Word file formats. 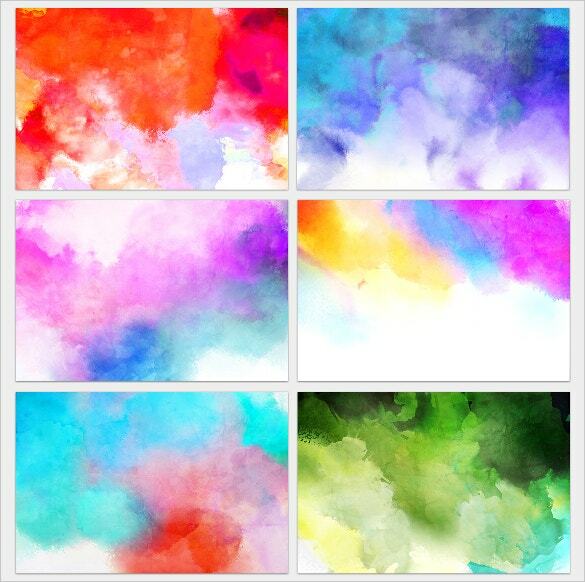 In order to create a lovely multicolour YouTube channel, this colourful background design is one way to do it easily. 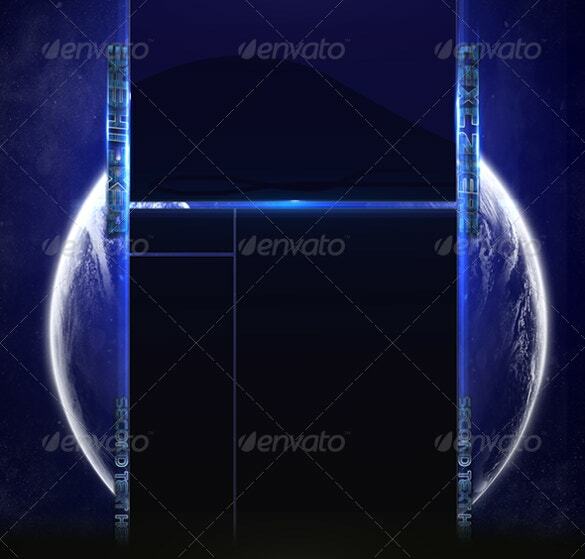 This design can be downloaded from our site for free in Word format. 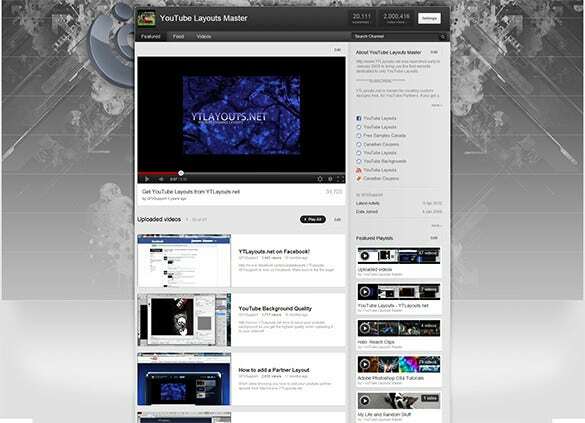 This simple YouTube channel background is what you need to create a simple yet attractive channel for your followers. It is available in PDF file format ready for download here. 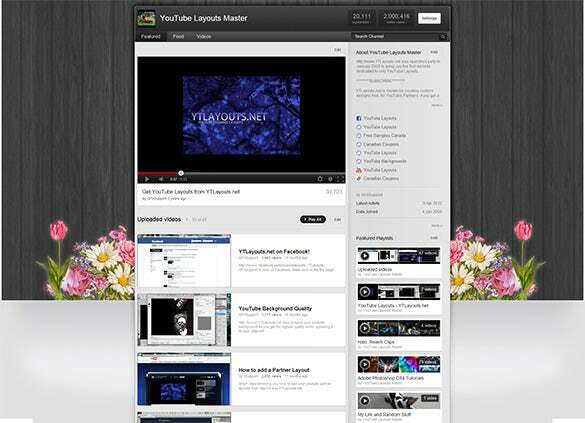 With this simple YouTube channel background anyone can create a great channel to attract more visitors and followers. It is ready for download from our site in Word file format. 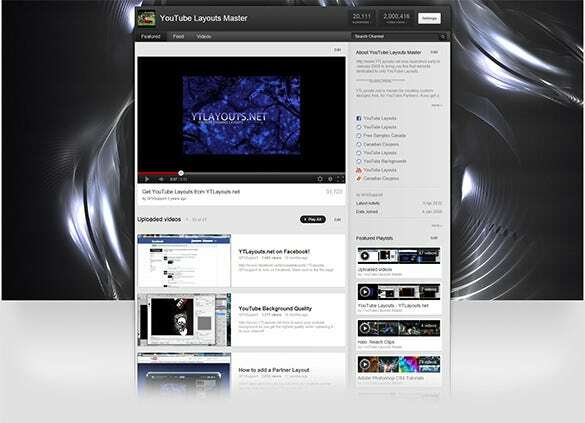 If you want to create a metallic theme YouTube channel then this special background is designed just for you. Get it from here in PDF file format today free of charge. 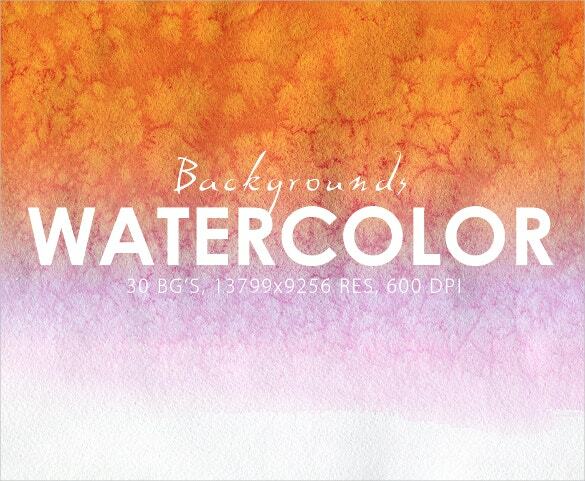 With this water color background collection it is now easy to create a wonderful YouTube channel any time. Download it from this site today in PDF file format and design your channel. 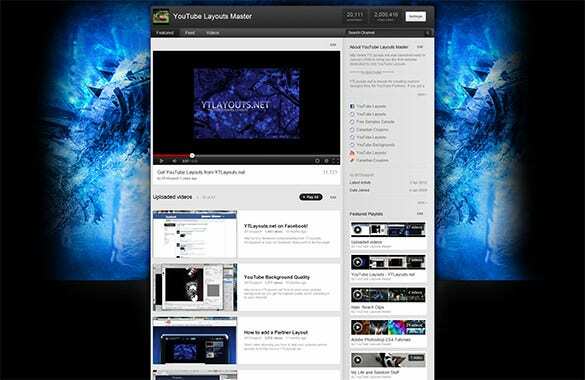 YouTube can be customized according to your own choice now. Let me tell you how? 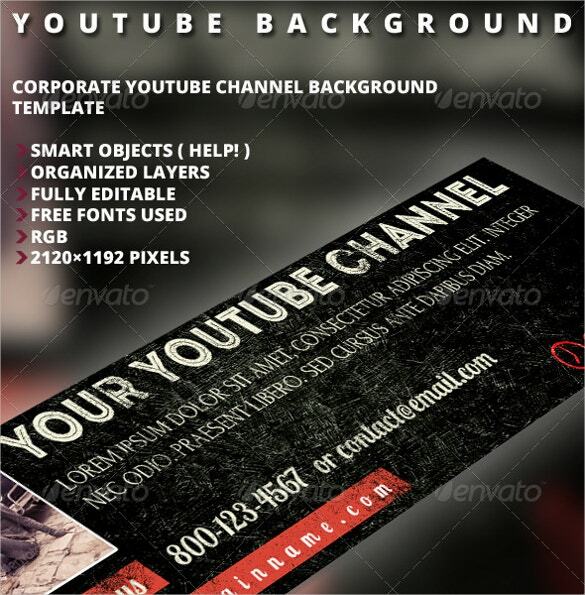 You can have different backgrounds for the title, your channel name, your channel title and your YouTube channel by downloading premium YouTube background bundle. 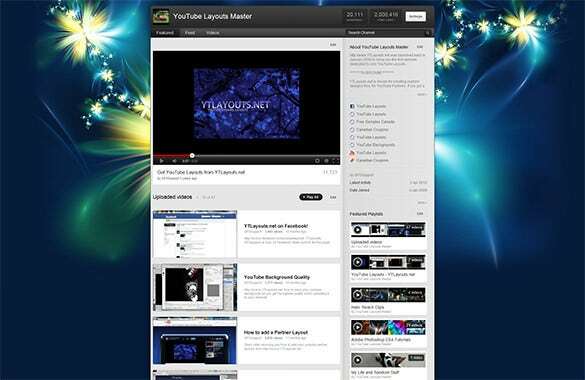 Enliven your space on YouTube with these stylish visual effects and flaunt off your trendiness. 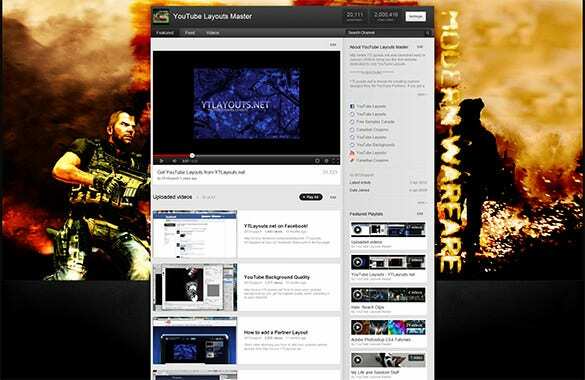 Enthusiasts of Call of Duty action game can download modern warfare background and change the look of their YouTube channel. 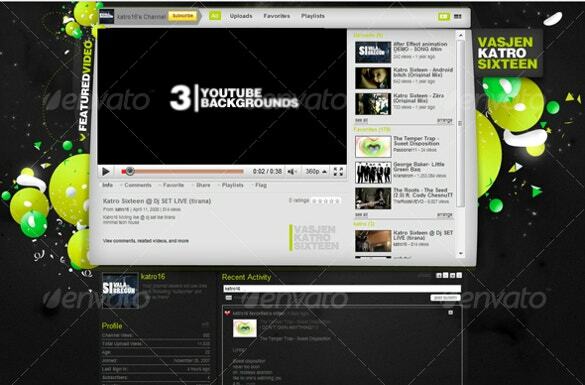 Improve your YouTube browsing experience with this absolutely interesting theme. 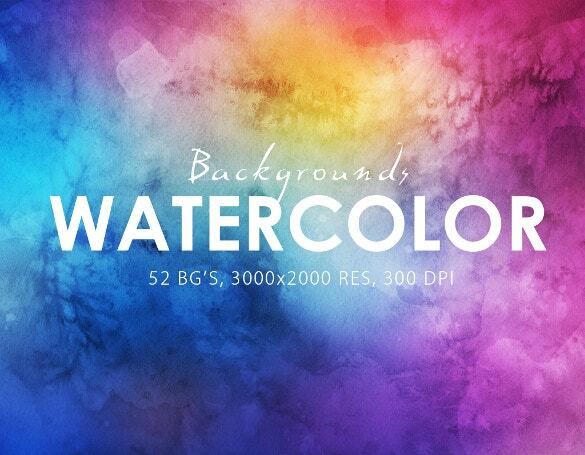 Gaming junkies are sure to fall in love with this background. Get it right away by clicking here. Are you a passionate photographer? Let your interest in photography reach out to the world through photographer YouTube background. 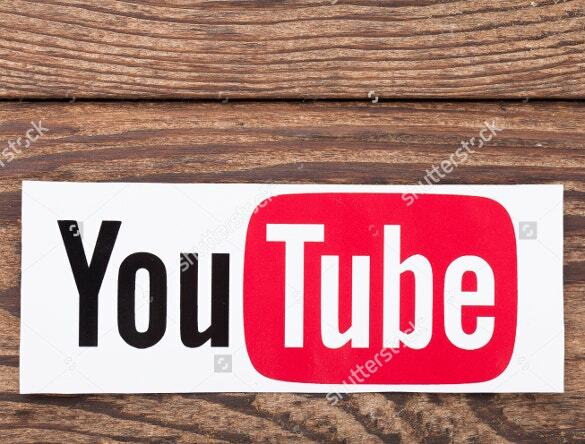 The dull background of YouTube that you get by default can now be replaced by an excellent background according to your will. Doesn’t that sound great? 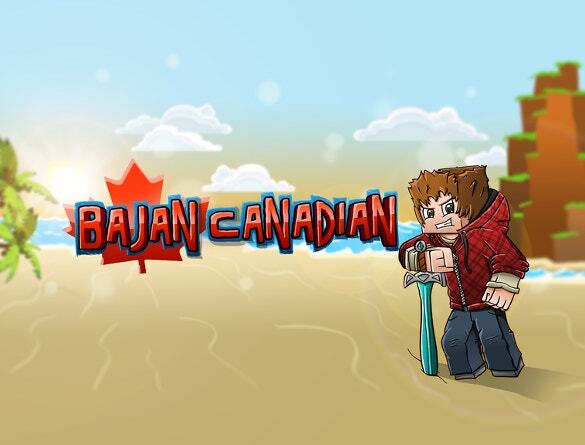 There is another awesome background for gamers. 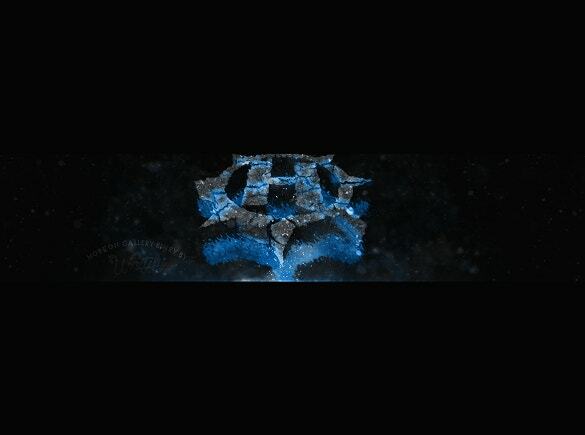 If you are addicted to video games, watery grave is a great background for your YouTube channel that would suit your personality of a video game lover. 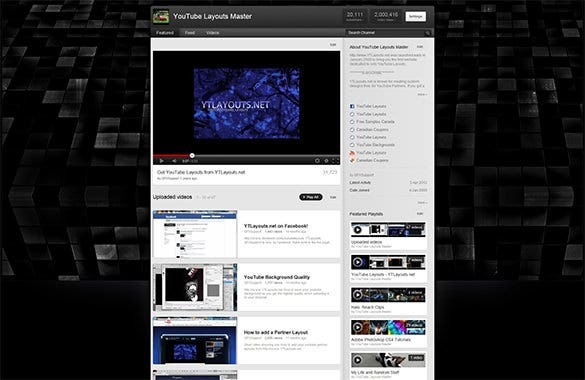 The appearance of your YouTube account would certainly get pepped up with this layout. Has the same old YouTube background since ages got you bored and you no longer feel engaged to it? 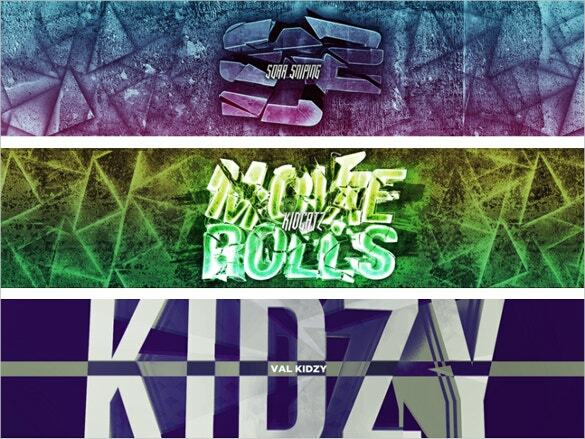 We have some awesome YouTube backgrounds that would intrigue you and you would be able to customize it too. 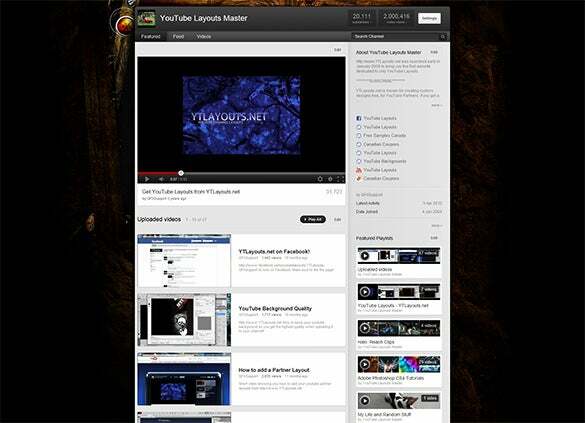 Download it right away and give your YouTube account a welcome change. Cool Flower Bliss is a beautiful flowery theme. It is quite unique from the themes in which you see flowers blooming in the fields. Fluorescent colored flowers scattered in a blue background would take you to a world away from clichéd backgrounds and improve your experience while browsing or sharing videos. 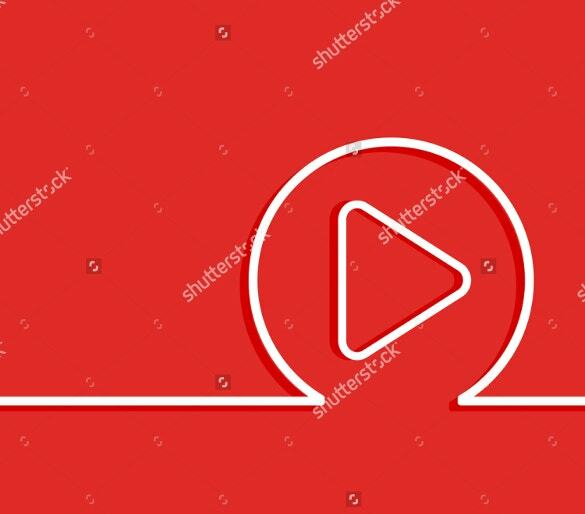 A very interesting background that gives you a feel of three-dimensional metal grid can be a great choice for your YouTube account. Keep it simple, yet smart. Download it here and add a spark to YouTube by changing the plain white boring theme. 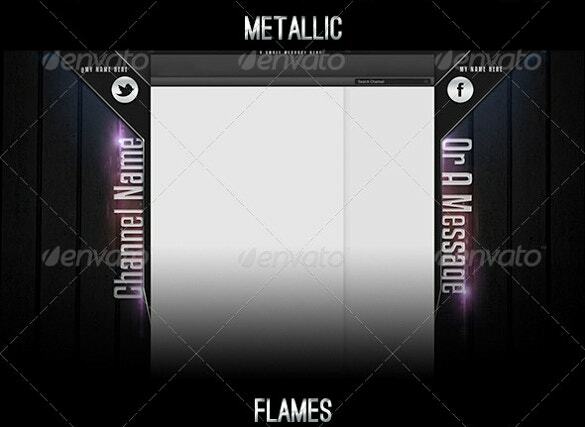 Twisted Metal is an abstract layout background with shades of black and grey that give an element of “oomph” to your YouTube account. Get it here and add spiritedness to your account with a smartly and tactfully designed layout. Brace yourselves for all the positive comments you are going to receive after the makeover. 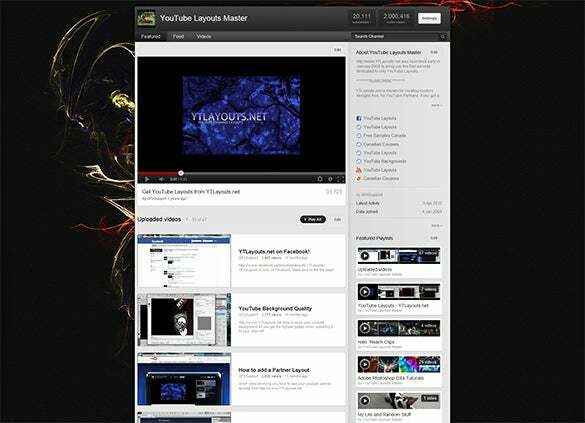 Revitalize the YouTube account by cool burst flares background intended to suit all those smart people out there. 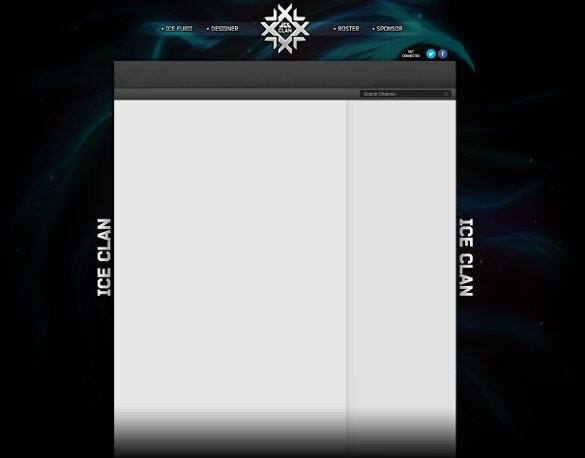 Anyone who wishes to give their YouTube a new look should definitely download the background from here. It would brighten up their personality even more. Get it immediately and have a huge number of fans in no time. 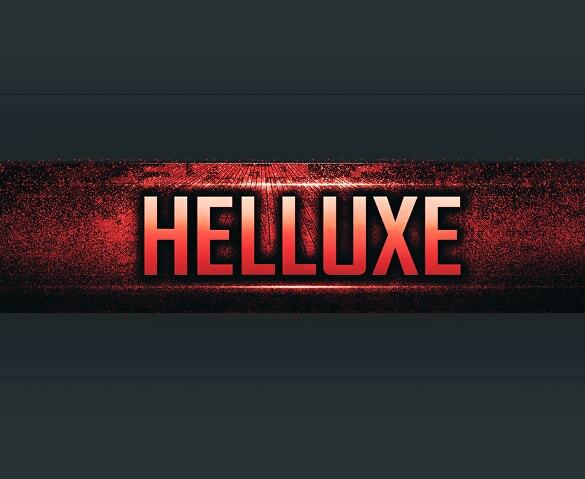 Those who are looking for a subtle background to enhance their YouTube account would love Clean Techy background for sure. 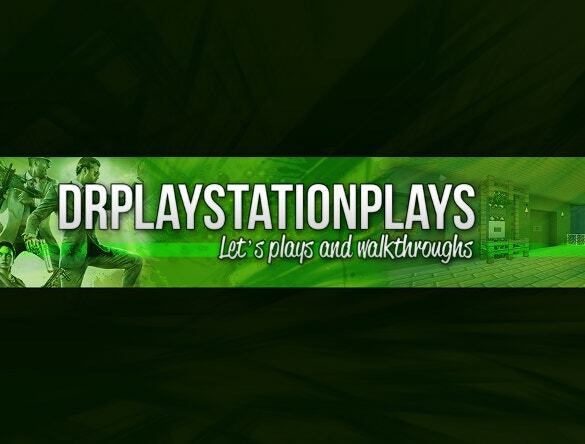 It is one of a kind YouTube background that is decently stylish. You can have it from here and take your subscribers/audience by awe.